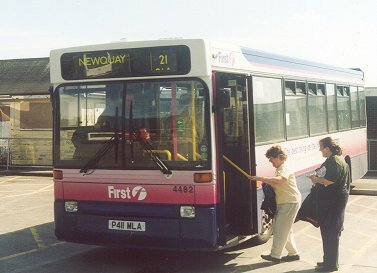 This page created 7th September 2000, updated 28th November 2017. 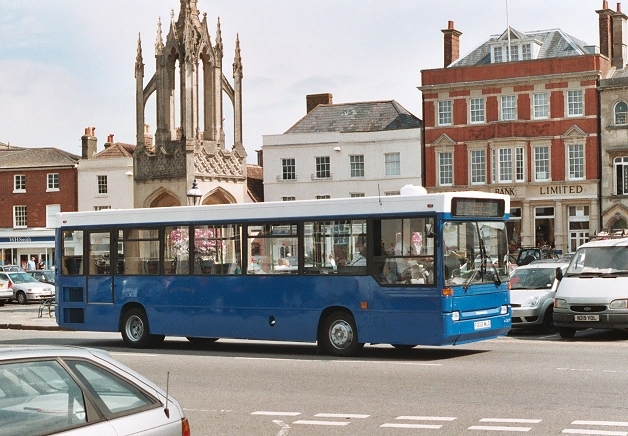 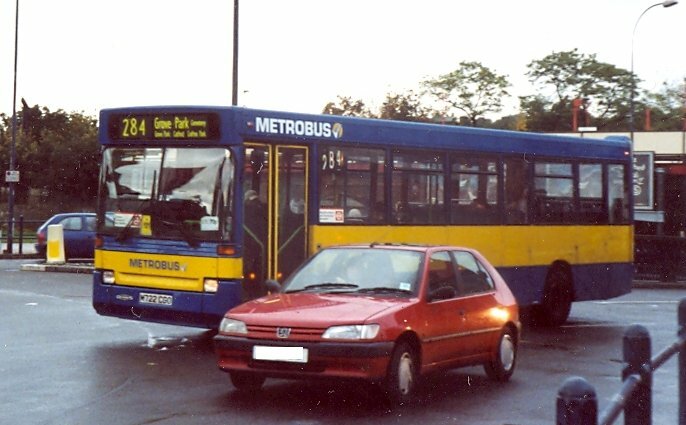 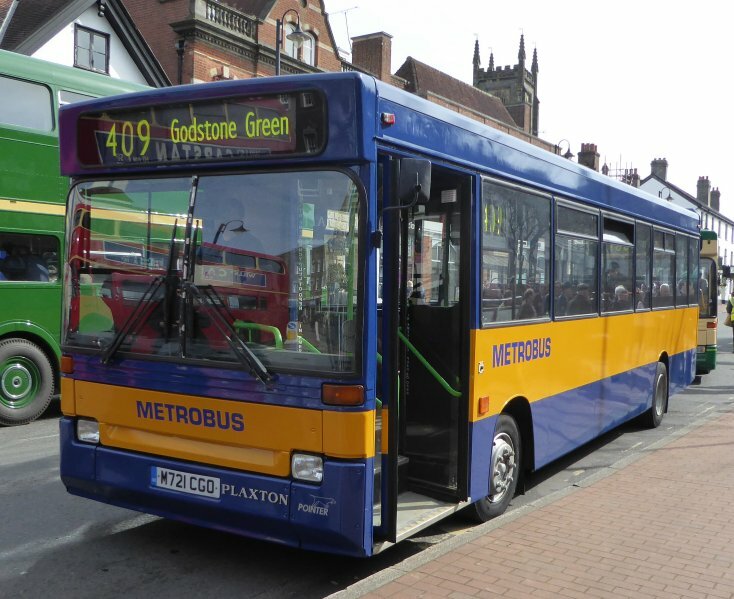 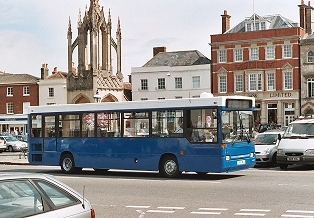 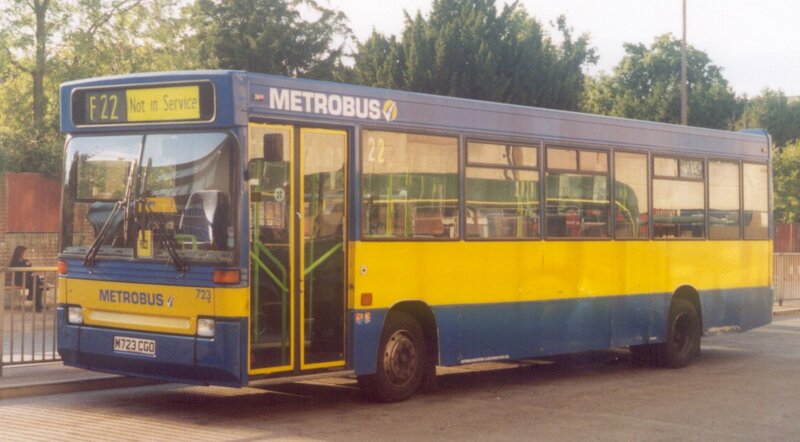 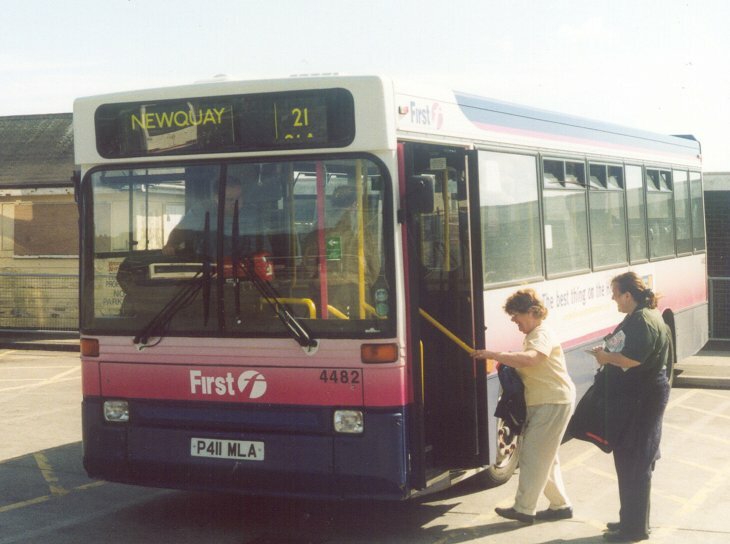 1/05    bought by South Gloucestershire Bus Co.
11/04    bought by City Sprinter, Glasgow. 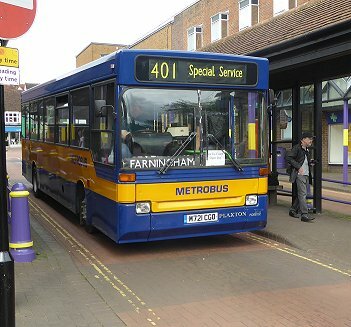 11/04    bought by McLean, Witney. 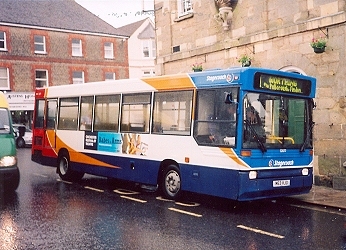 In July 2003 the erstwhile D41 was now 4482 with First Cornwall, and in use on the Newquay-St.Austell route. 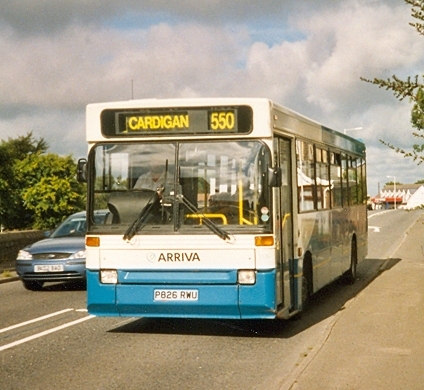 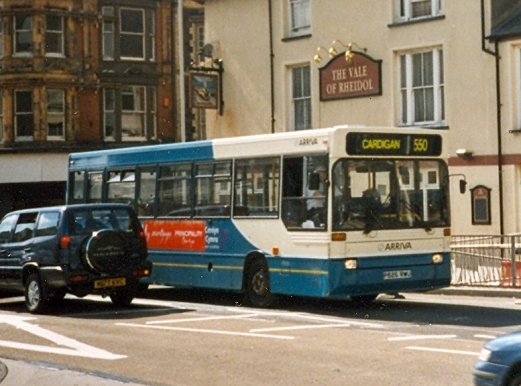 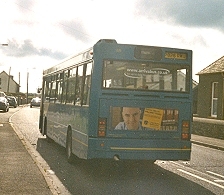 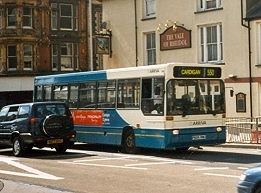 Arriva Cymru 1326 on 550 (Aberystwyth-Cardigan) at Aberystwyth and Brynhoffnant, August 2005. 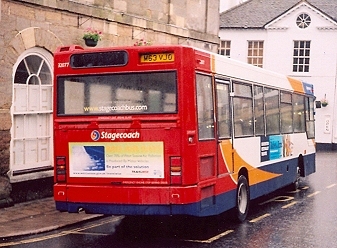 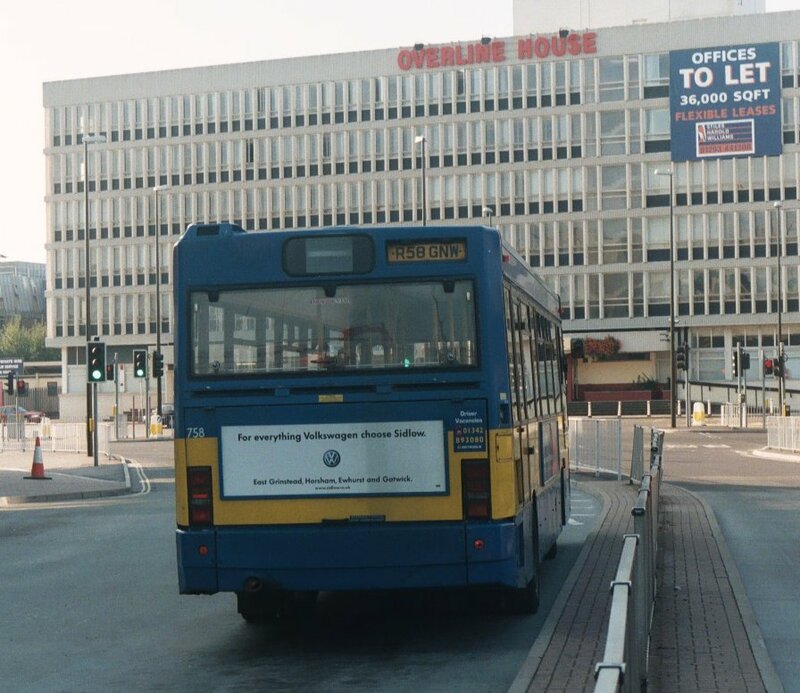 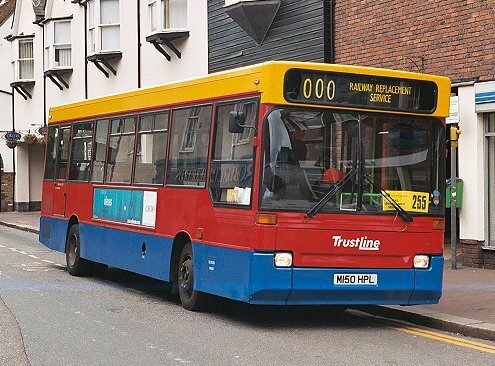 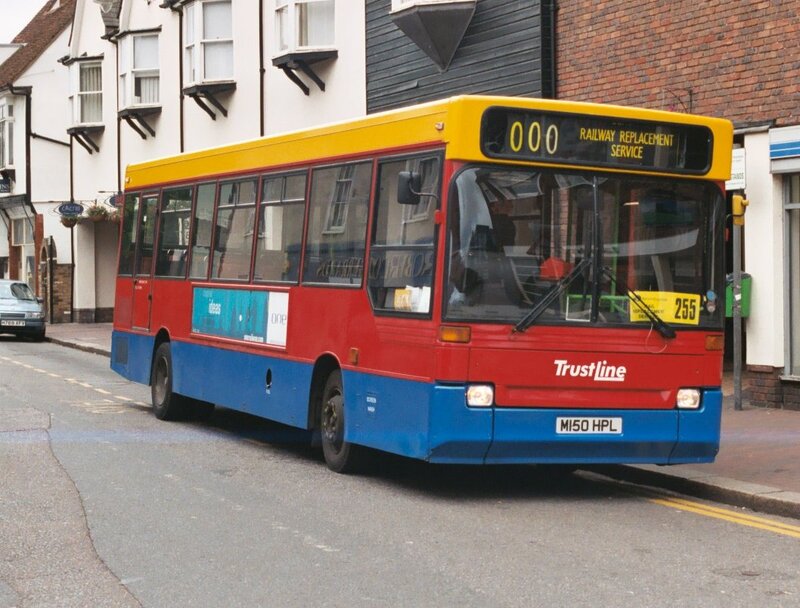 2/01 TH loan for 255..
2/02 WB transfer (Wycombe Bus)..
7/02 WB ..transfer (WyCombe Bus Stn)..
2/02 WB transfer (Wycombe Bus Stn)..
5/09    transfer to Stagecoach Yorkshire..
7/00    transfer to Stagecoach East Midlands, Winchester- ooops! Preserved 721 on the 409 in East Grinstead, March 2016, and on the 401 at Sevenoaks, May 2016. 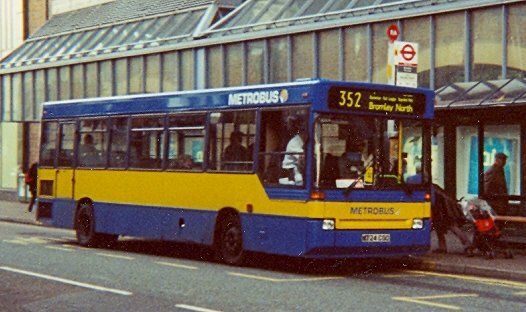 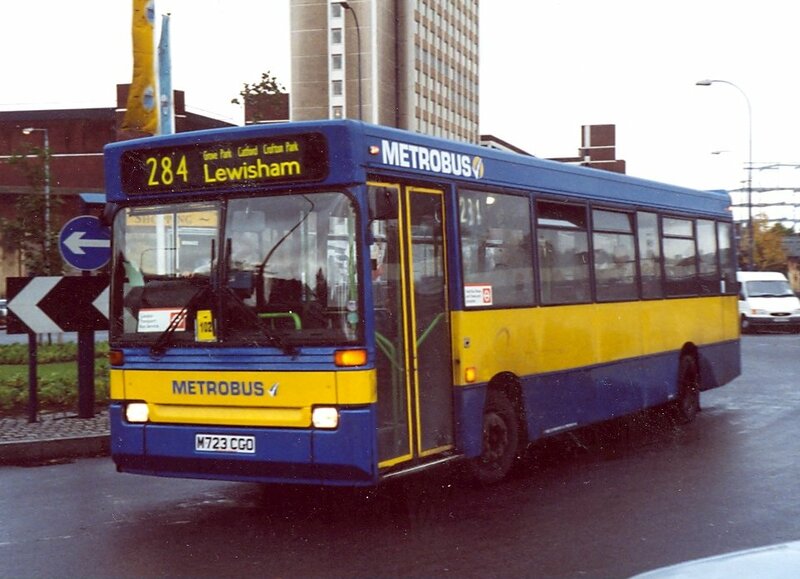 722 on the 284 to Grove Park, at Lewisham Bus Station, September 2000. 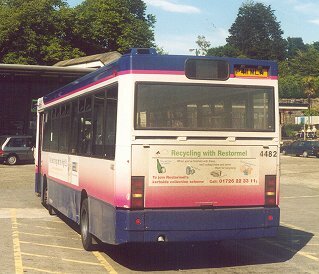 723 at Crawley Bus Station in August 2003, after transfer to the "Country Area". 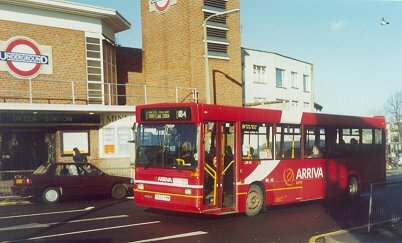 724 on the 352 to Bromley North, at The Glades, November 2000. 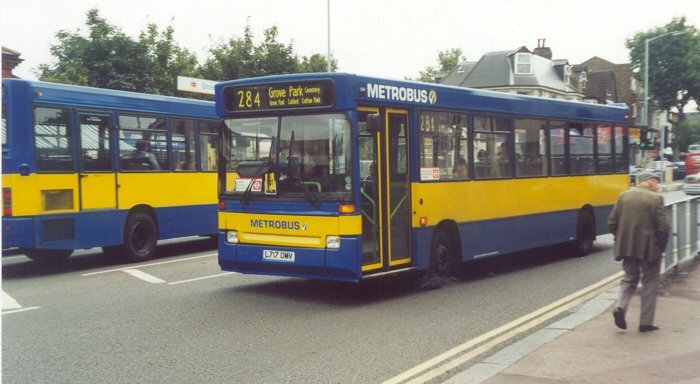 726 on the 284 to Grove Park Cemetery, at Grove Park Station, September 2000. 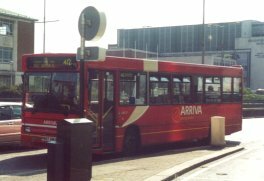 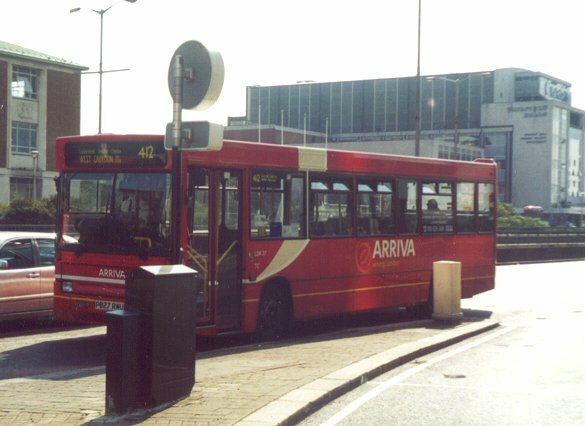 758 stands in Crawley Bus Station, August 2003. 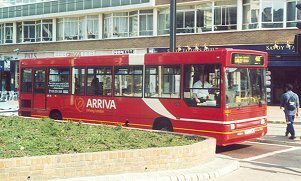 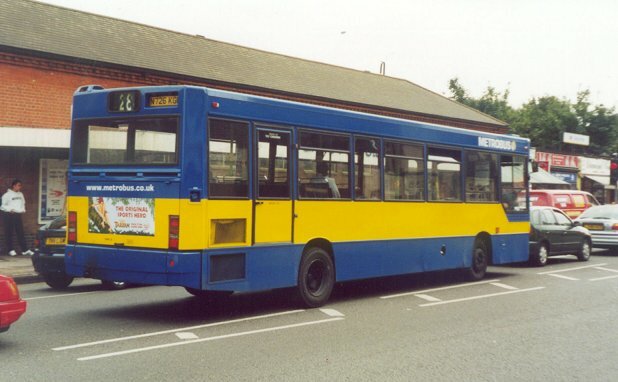 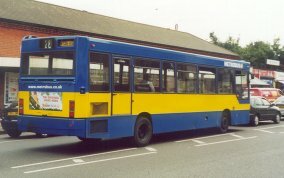 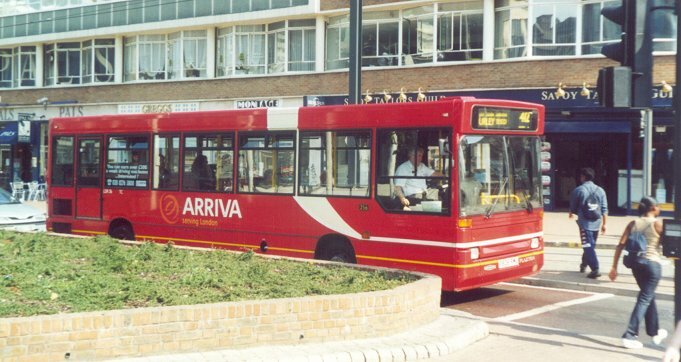 3/03 HA on loan (Harlow)..
3/96    taken over by Berks Bucks Bus Co.